Okay, maybe I’ve been reading too many Sherlock Holmes stories. Or watching too many episodes of Sherlock. But I swear this really happened. 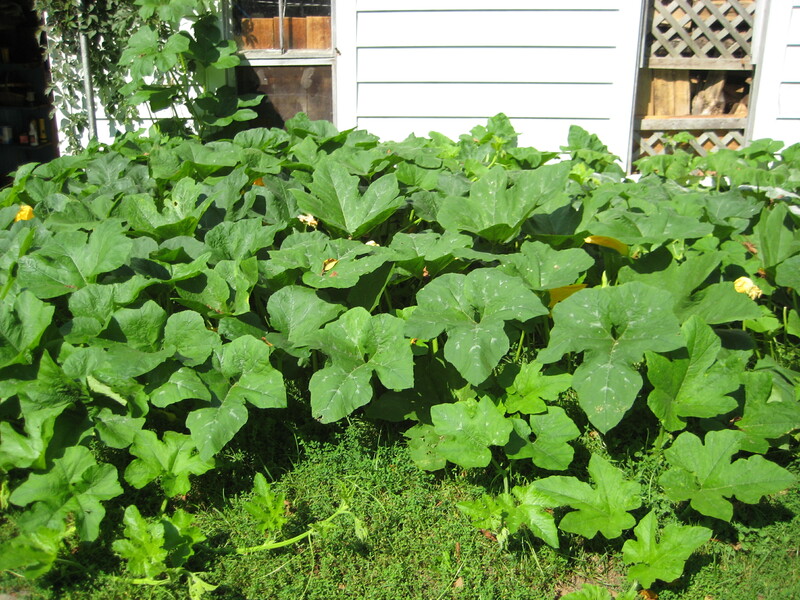 Last spring, I planted a total of six pumpkin seeds, in the little patch of garden just by the kitchen door. 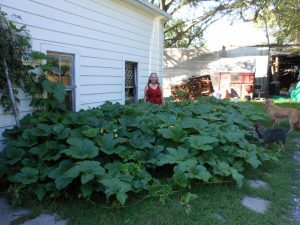 And something about this year’s odd weather– the early heat, the mid-summer drought, the late summer rain–made the pumpkins go absolutely berserk. 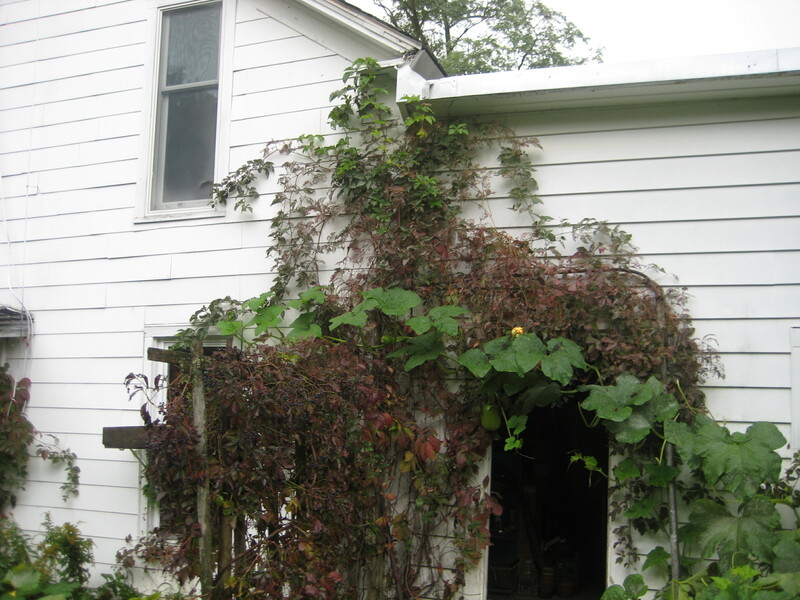 The vines crawled along the side of the house, devoured the walkway, tripped up unsuspecting passersby, and even made repeated attempts to climb in the window. 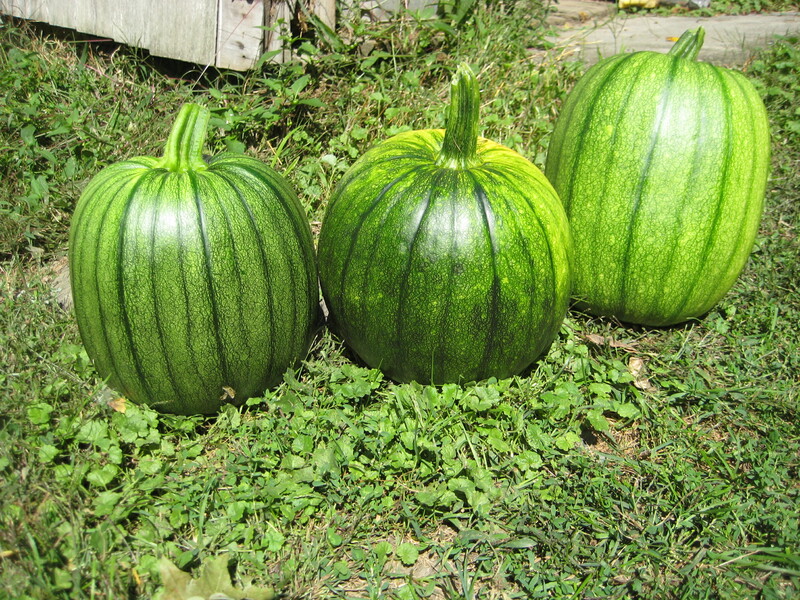 And they produced some nice pumpkins, too. But then with all this damp weather, powder mildew struck. As the ugly white blotches spread from leaf to leaf I realized that it was time to say goodbye. So this morning I waded into the pumpkin patch, wearing heavy gloves, and started ripping out the vines. They leaves were still green and strong under the coating of mildew. I felt a little bad, murdering them prematurely like this, but aside from the mildew, they really had to go—we were having trouble getting through the door. So I grabbed a thick green vine, and pulled hard. 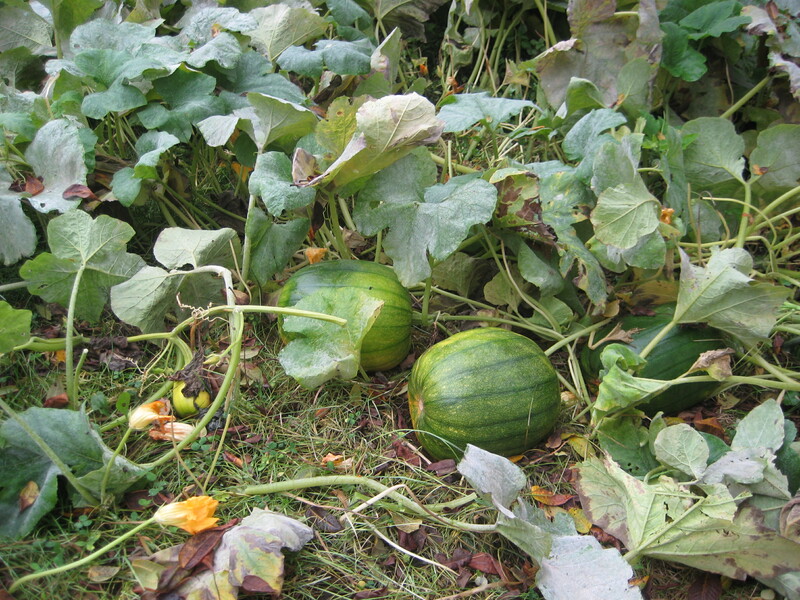 And as I began to uproot the vines, the pumpkins began to sing. Okay, slight exaggeration. But as I pulled the first vine, there was a sound—a kind of breathy plunk! –like a cross between a guitar string being plucked and a note on a flute. Definitely musical. As I thrashed my way through the pumpkin vines, yanking and tearing, the notes sounded again and again, all slightly different in tone, all melodious. When I ripped out a particularly long vine, the notes clearly went up the scale: plunk, plank, plink. I scratched my head for a long time, pondering the mystery. Got out my magnifying glass. Smoked three pipes of shag tobacco. (Just kidding.) Finally I deduced that when you have eliminated the impossible (singing pumpkins) whatever remains, however improbable, must be the truth. 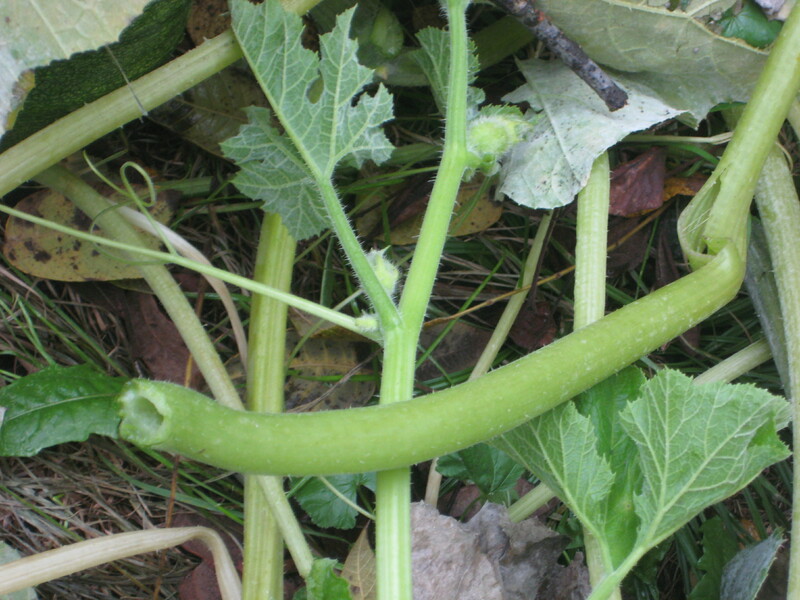 Pumpkin stems, I discover, are hollow. Hollow and round and quite sturdy, not unlike, say, a flute. And as each stem was abruptly jerked and broken, a little gust of air crossing the stem made a musical sound, like blowing across a bottle top. The smaller the leaf stem, the higher the note. A last serenade to summer, the musical death of the pumpkin vines.